Sighthound Video is a cost effective solution for DIY’ers looking to set up their own home camera security system. Once installed, it automatically finds webcams and IP cameras connected to your network. Set custom rules and zones that will specify what type of alerts are sent. With Sighthound Video, setting up home security software just got a lot easier. Not up for spending hundreds of dollars on IP cameras? There are two easy ways of cutting down the cost of protecting your home and family. Most people seem to have old webcams lying around, no longer used since laptops or monitors started coming with built-in webcams. Even if you don’t have one around, a quick look on Amazon.com will show a wide choice for under $50. As long as you aren’t trying to use too many webcams, you’ll get practically the same results indoors as with IP cameras. Here are three easy steps to create the best webcam security system. With a bit more effort you can turn an Android device into a home security camera. It also comes with a free battery back-up. It used to be the case that only those spending thousands had a good home security system, but thanks to Sighthound Video, you can build a fairly sophisticated system yourself. Here’s how to turn an old device into an Android security camera. Have eyes on everything. Anytime. Expecting an important package but can’t be home? 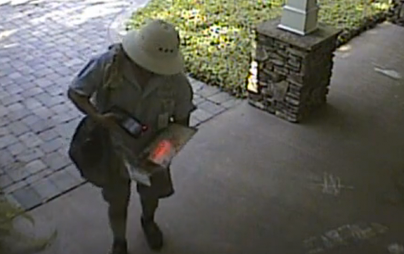 Sighthound Video can intelligently notify you when the mail person leaves a package on your porch. Having Sighthound as your home video security system can also pay off big time, such as when the postal service claims that those tickets you’ve been waiting for have been delivered, but you know something different happened. Watch this video closely.